Today, District 59 Champion Daniel Mouqué was interviewed by BRUZZ, the Dutch speaking TV channel for Brussels, on the eve of his departure for the USA. 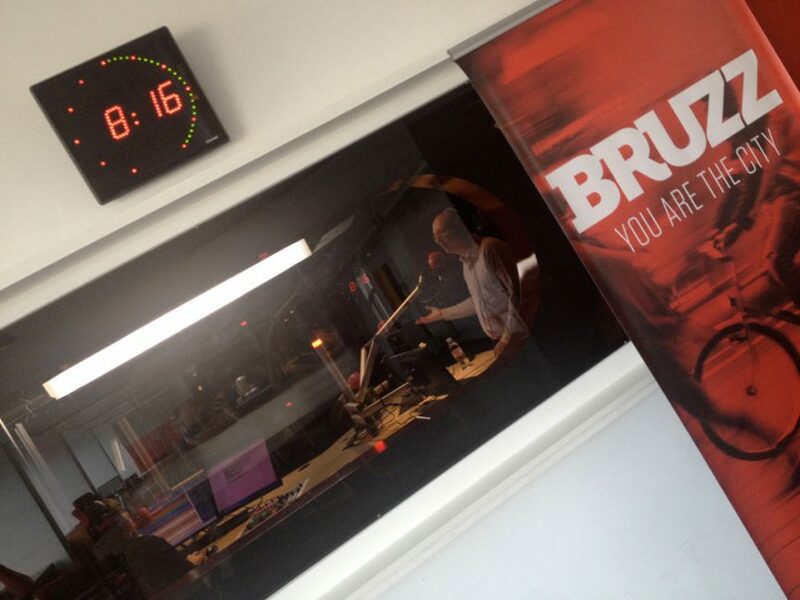 Earlier today, BRUZZ radio listeners woke up to Daniel giving part of his winning speech live on air! He was interviewed in BRUZZ’ morning show. Daniel Mouqué, our District 59 Champion, was featured on BRUZZ, the Dutch speaking news site for Brussels. 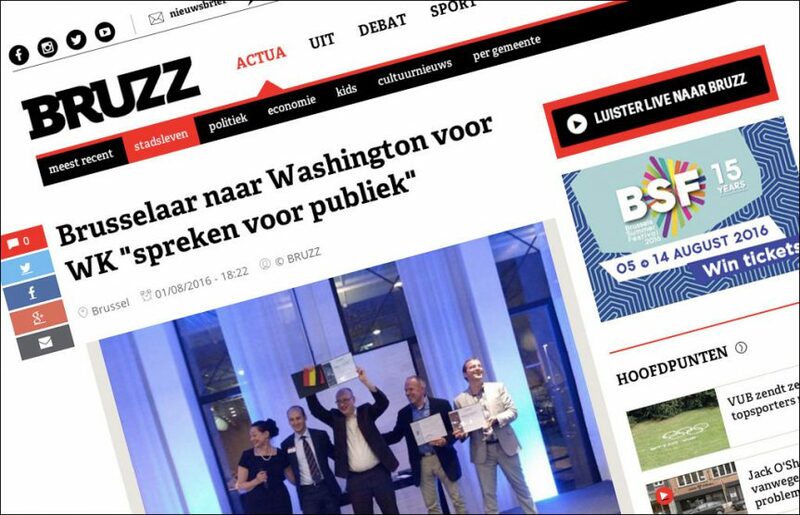 The article qualifies Daniel as the first “Brusselaar” to go to the semifinals of the World Championship of Public Speaking! Division B is tremendously proud of Daniel Mouqué (The Brussels Toastmasters Club), who won the International Speech Contest at the District 59 Spring Conference in Luxembourg. Daniel will represent our District in the semifinals of the World Championship of Public Speaking, at the Toastmasters International Convention in Washington, D.C., in August. Daniel Mouqué was not the only fellow Toastmaster from our Division who performed above and beyond in the Spring contests. We also congratulate Bruno Cacciapuoti (Le Club des Orateurs, Brussels), who came third in the French Speech Contest, and Valentina Caimi (Berlaymont Toastmasters, Brussels), who came third in the Italian Speech Contest. 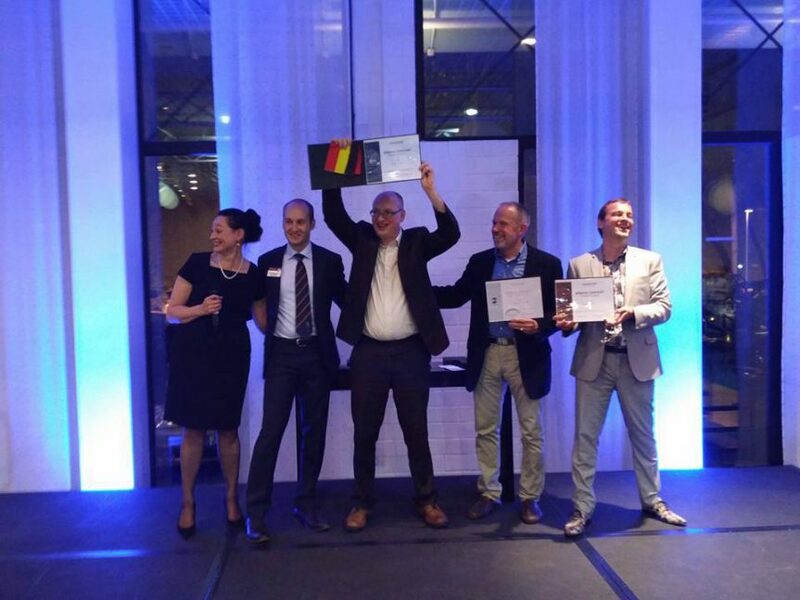 Belgian Toastmasters celebrating in Luxembourg. Team B had a real blast in Luxembourg. Besides performing spectacularly in the Spring contests and rooting for their contestants, the more than 60 strong delegation from Belgium, Luxembourg and Northern France attended as well as lead captivating workshops, featuring Tom Aerden, Karin Bral, Margarida Brites, Crista Filip, Covey McAllister and Thomas Vervaet. And of course, we went above and beyond in partying, dancing and networking, like only Toastmasters can! In the coming months, all clubs in our District are warmly invited to grant Daniel stage time to make his winning speech even better and to test material for the speech he is preparing for the final — without a shadow of a doubt, he will need that speech! What better way to support our District contestant, on the road to Washington, D.C.? The first club to host the District Champion is Toastmasters Hasselt, at their 5th anniversary meeting on Saturday, 28 May. Register for this meeting! 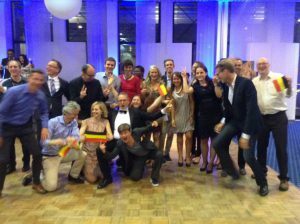 The Brussels Toastmasters Club, Daniel Mouqué’s home club, will be welcoming home their District Champion on Tuesday, 31 May. Register for this meeting! In 2015, contestants from Districts 59 and 95 took part in several “The Road to Vegas” events, one of which was organised at the Artful Orators club in Brussels. In London, two more districts joined the party for a shower of feedback. Right now, initiatives are being taken throughout Region 11 (of which all said districts are part) to stage events that will support our contestants as one EMEA family, in true collaborative Toastmasters spirit. We will keep you posted! Credits to Sean Ryan and Margarida Brites for compiling and sharing this list.